IMAGO Glass has a new location in Mount Prospect! IMAGO glass has been installing high quality glass shower doors Mount Prospect for fifteen years. Our glass selections include clear glass, frosted glass, tempered glass, tinted glass, starphire glass, and low lead glass, among others. These glass types can be purchased (or made into custom doors) of framed, frameless, or sliding door varieties. Our clients love our glass door installation services. When sized or installed incorrectly, glass shower doors can cause problems. But we are proud to provide glass shower doors Mount Prospect homeowners can trust. Make Imago Glass Inc. your home base for all your glass shower doors in Mount Prospect, IL. If you’re in the market for glass shower doors Mount Prospect, let the experts at Imago Glass Inc. walk you through our broad selection of customizable options. A good place to start with shower glass doors in Mount Prospect is the standard clear glass option. This timeless look goes well with all home styles. If you prefer options with a bit more privacy. We also offer frosted or tinted glass. Options like tempered glass and starphire glass are great because they are break-resistant and protect you and your family from injury. If you’re interested in something a little more decorative, we provide a full range of custom shower doors in Mount Prospect, IL. We carry both rain glass and colored glass in a wide variety to match. And any home décor you’re going for. Our services include the installation of glass shower doors, glass shower enclosures, and bathtub shower doors. We are proud to offer these services, and our products, and extremely competitive rates. We are passionate about our products. So don’t hesitate to ask our contractors for their advice on glass shower door types! Each member of our team is highly experienced. And we are thrilled to expand our operations from Chicago, to Evanston, and now to Mount Prospect! 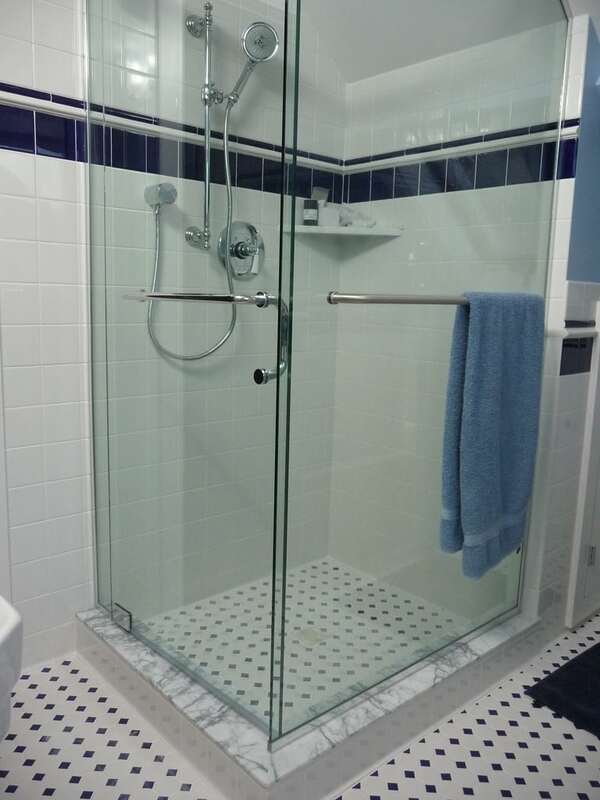 If you need a new glass shower door, you are sure to find what you need here at IMAGO Glass Inc.
IMAGO is a premier glass shower doors company providing high quality glass shower doors & custom shower doors in Chicago, IL. Web design & Internet marketing by sites123.us - Strony123 - Strony Internetowe Chicago.